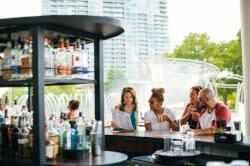 NOTE: Winter Park is now closed for the season due to warm weather. 1. 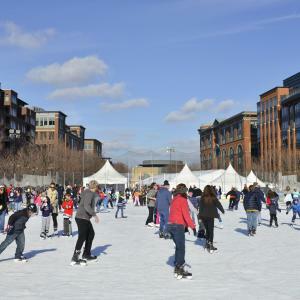 Skate at Winter Park at McFerson Commons - This outdoor ice rink brings winter fun to the Arena District Feb. 2-25. Rent some skates, take some laps around and even catch some Columbus Blue Jackets&apos; practices. Public skate times and schedule are here. 2. Hike near bison at Battelle Darby Creek Metropark - About a half-hour west of downtown, you&apos;ll find our largest metropark, with more than 20 miles of trails through woods, wetland and prairies. Bison have been reintroduced to this park, and roam around two large enclosures, year-round. 3. 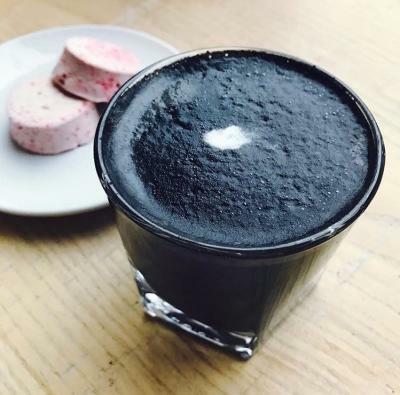 Try the charcoal lavender honey latte at Mmelo Boutique Confections. It might look a little terrifying, but it&apos;s surprisingly delicate and delicious. While you&apos;re there, pick up a candy or confection that&apos;s as beautiful as it is tasty. 4. Check out a gallery show, like Keny Galleries&apos; African American Masterworks - This gallery show displays works from prominent Columbus-based African American artists, including Aminah Robinson, Elijah Pierce and more. The gallery is tucked cozily into German Village, so pair you visit with an exploration of The Book Loft&apos;s 32 rooms. 5. 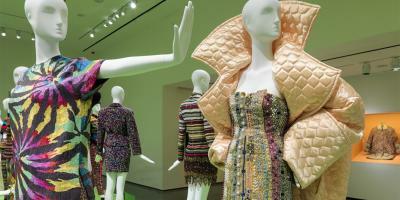 Check out some styles at the Wexner Center for the Arts&apos; All of Everything: Todd Oldham Fashion - This colorful exhibition is full to the brim with designer Todd Oldham&apos;s fashion works from the 1990s. An exuberant mix of patterns, colors and found textiles, it&apos;s a nice way to cheer up even the wintriest of days. The show runs through April 15.